Our client was 21 years old and had no prior record. She was a college student and wanted to go on to medical school. She was especially focused and ambitious because her parents had tragically passed away in an accident a few years earlier. She grew up fast as a result. The Gist of This Case Summary: Client, age 21, shoplifts $400 worth of makeup from Sephora at the Cerritos Mall, case dismissed by judge on our Motion for Civil Compromise. She was arrested walking out of the Cerritos Mall Sephora store with approximately $400 in makeup in her purse that she had not paid for before leaving the store. Loss prevention from Sephora detained her at the store. Sephora quickly called the Lakewood Sheriff’s office, which sent out an officer to arrest our client and transport her to the Lakewood Sheriff’s station, where she was booked and released after several hours. The long wait is common as the sheriffs were verifying that our client had no outstanding warrants pending anywhere in the United States. Our client was cooperative and apologetic to the police. Sephora sent our client a “bill” of nearly $400 for their loss prevention fees, which puzzled our client because Sephora had already recovered all the makeup items that she had in her purse. She consequently called our office for advice. 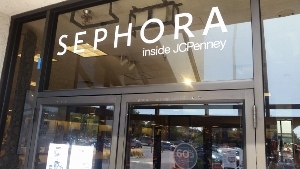 Greg Hill explained that such a demand was an attempt to settle a potential civil lawsuit on behalf of the loss prevention company subcontracted by Sephora. Such a civil lawsuit was separate from the criminal case for petty theft that landed her in the Lakewood Sheriff’s station. n the course of speaking with Greg, the client further learned that her pending criminal case might be eligible for dismissal through a diversion program that the Bellflower court had for younger, first-time shoplifters. Greg had represented many such clients and was familiar with the program. The client then retained Greg Hill & Associates. Greg first wanted to see if the District Attorney (DA) would still offer the program. At the arraignment, the District Attorney indeed made such an offer. Greg then discussed the offer, which involved our client performing ten days (80 hours) of approved community service in exchange for a dismissal. The client agreed to accept the offer of diversion. When Greg returned to the Bellflower Court, the District Attorney apologized that she could no longer offer diversion because the head DA for the Bellflower Court had changed and the new head DA’s policy was not to extend such diversion offers. Greg therefore had a personal meeting with the Head DA on an afternoon to try to get the Head DA to honor the prior offer. The Head DA refused to make good on the prior offer, insisting that a conviction was proper and even commenting, “it is not that bad. She is still eligible for expungement in three years.” If our client were to take a plea bargain involving a conviction for petty theft (Penal Code § 484), she would lose her job as a bank teller. This flip-flop by the DA’s office angered Greg. He wanted to “get even” somehow for the client’s sake. Greg therefore advised the client to pay the loss prevention fees, which she did, and Greg then prepared and filed a Motion for Civil Compromise under Penal Code §§ 1377 and 1378. Greg had originally not wanted to file such a motion because it required that the client pay the loss prevention fees and there was risk of such a motion being denied, thereby locking our client into a plea bargain involving a conviction. Diversion would have been preferable for the client, as it was less expensive and less risky. Greg however filed the motion. The judge was well aware of the new Head District Attorney’s tough stance and did not appreciate such insensitivity. The judge consequently granted the Motion for Civil Compromise, dismissing the case. Our client was very happy. She kept her record clean and her job, as well as her eligibility for medical school in the future. Greg felt that justice was accomplished.